Join our United States Roadshow! Join us and our American distributor Farbest Brands to learn how to enhance flavor while maintaining a natural, clean finish. The secret? New, innovative technology and clean-label ingredients! 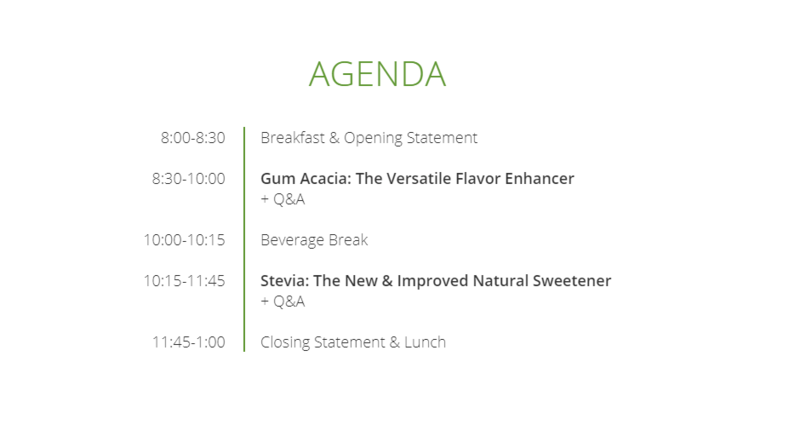 > Discover the flavor enhancing applications of versatile gum acacia. > Get insights on the latest flavor technology. > Gain expertise in improving flavor systems. > Explore specialty gums to enhance unique flavors. Alland & Robert presentation will be followed by a presentation by HB Natural Ingredients about stevia, the natural sweetener. Register on Farbest REGISTRATION PAGE!